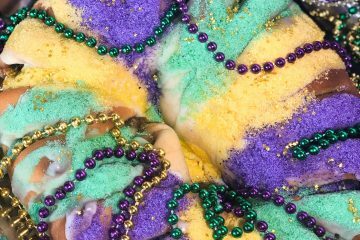 These are all the ingredients you will be cooking in the Instant Pot. So good for you right?!? And these are the ingredients you’ll be adding to your high-speed blender along with the cooked vegetables. Nothing unhealthy here! *Affiliate links: This post contains Amazon affiliate links. This means that I will link to a product you can purchase on amazon.com if you choose. 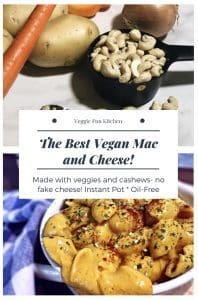 If you click on and purchase through these links, Veggie Fun Kitchen might earn compensation at no additional cost to you. This recipe was inspired by my Vegan Chili Cheese Sauce. I got home one Sunday, after a weekend away, and found that my daughter had tweaked the Chili Cheese Sauce recipe a little to make a vegan mac and cheese sauce. Perfect…almost. 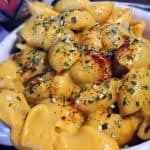 I tweaked a little further and came up with a delicious, creamy, cheesy, sauce that works great with small shaped pasta…like mac and cheese! 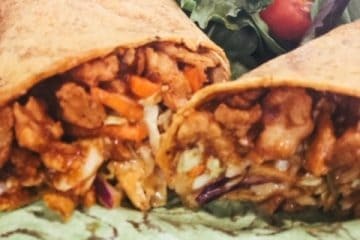 Only this one is plant-based! Entirely! You start with making your cheese sauce BUT if you are a skilled enough cook, you can also be boiling your water and cooking your pasta at the same time. Use any small shape pasta that makes you happy. For this recipe, I chose a medium shell pasta. There are so many varieties, made of so many different ingredients. Just read your label to make sure it complies with your standards. You will be cooking 12 ounces of pasta. 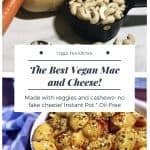 This “cheese” sauce is developed for the Instant Pot (affiliate link). I promise I ‘ll have a stove-top version soon. Start by “rough cutting the vegetables. 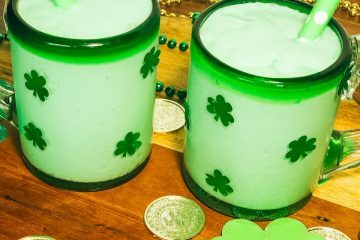 You don’t need to peel and you don’t need to chop perfectly because you will be blending in a high-speed blender (affiliate link) after they cook. Cut vegetables into chunks. They will be blended so no need to be perfect. 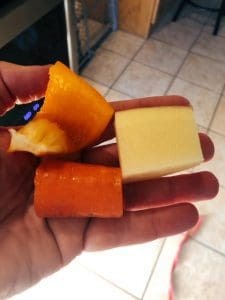 Some recipes for this type of cheese sauce call for weighing your vegetables. I haven’t found that is necessary. This recipe calls for three gold potatoes. This will be approximately four cups. 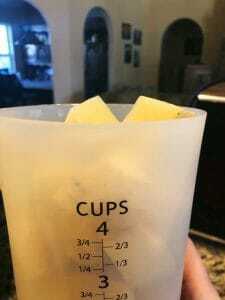 If you are using extra small potatoes, just make sure you measure and have a generous four cups. Three largish gold potatoes will yield about 4 cups. No need to peel. 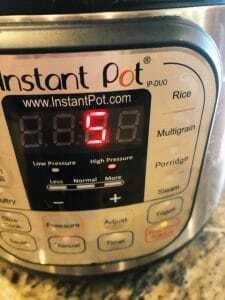 On manual mode, set the Instant Pot for 5 minutes high pressure. Do a quick release when done. 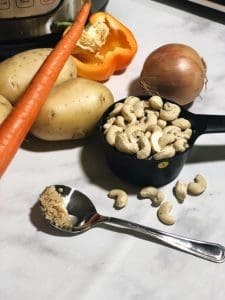 There is no need to soak the raw cashews (affiliate link) because the pressure cooker does a great job of softening the cashews for you. If, however, you are using roasted cashews, do soak for a couple of hours and drain and rinse well. 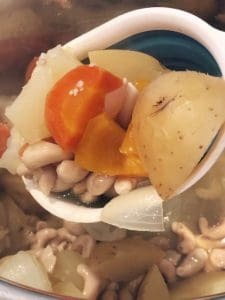 Add all vegetables, including the garlic to the Instant Pot. You do not need to chop your garlic either. I use chopped garlic I buy in bulk though, and so I estimate 1 teaspoon per clove. Add the water and close your lid, making sure the vent is also closed. Using manual, set for 5 minutes on high; it will take a little while to come to pressure. You will know it’s at pressure when the minutes start counting down. When the timer goes off, do a quick release. I usually use a long spatula or spoon to open the vent…because hot steam! Let the vegetables cool for a few minutes because they will be hot! You can fiddle with your pasta or the seasonings in the meantime. While the vegetables are cooking in the Instant Pot, go ahead and get the seasonings together. I portion them out into a small bowl, if I have time, in order to make the finishing/blending process go quicker. The seasonings we use are what really give this a cheesy tangy flavor. 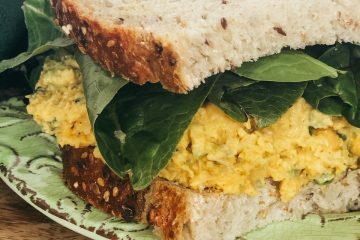 The number one ingredient you should have in your vegan kitchen is nutritional yeast. This is different from brewer’s or baker’s yeast and you absolutely cannot substitute either of those. Here are some various nutritional yeasts I’ve used (affiliate links). Sometimes you have to experiment to see which flavor works best for you. Trader Joe’s also has a good one. 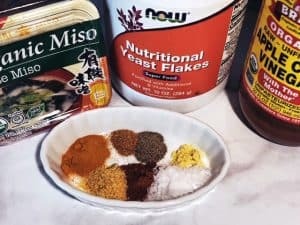 Another important ingredient you will use is White Miso Paste (affiliate link). 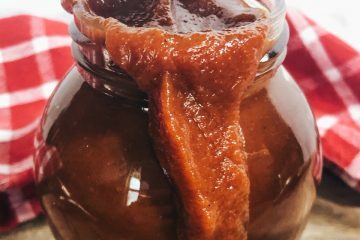 Miso paste is also an important ingredient you will use time and time again in a vegan kitchen. You only use a little at a time but it keeps well in the refrigerator. This is really hard to find in the grocery store. I understand you can find it in Asian markets. I get mine on amazon.com. 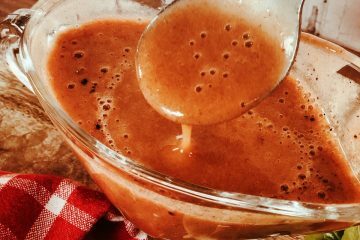 Apple cider vinegar is another must-have for your vegan kitchen. I use the unfiltered kind with the “mother”. You can usually find this brand at the grocery store. You will also use mustard powder (super important), garlic powder, turmeric powder, garlic powder, and chili powder. The vegetable mixture will be hot. Scoop out with a ladle or measuring cup. Don’t forget the liquid. 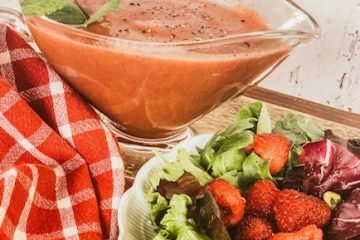 Carefully (because it will be hot) transfer the vegetables, cashews, and water from the Instant Pot to a high-speed blender. 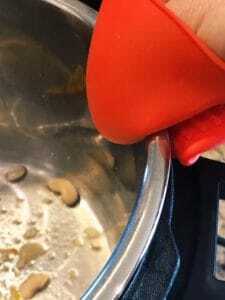 I use a measuring cup to scoop them out and a handy little silicone mitt to lift my pot and pour the last bit of the water into the blender. Add all other ingredients. Blend at high speed for 3-5 minutes or until everything is creamy and smooth. 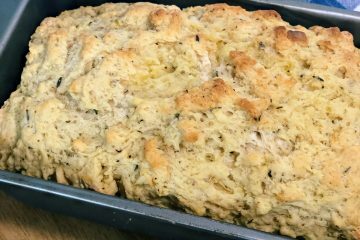 (You might be tempted to double this recipe but don’t. Even if you have the largest 8qt pressure cooker, which could probably handle the doubling, your blender cannot. You simply can’t blend this one in batches.) Immediately pour over the pasta and enjoy! I like to top with paprika, chives, and a little sea salt. Depending on the pasta you use, you are going to have extra cheese sauce. Don’t be mad at this but consider it a gift! I put the extra into a little container and keep it in the fridge up to a week. I pour liberally on vegetables and potatoes. It’s healthy so why not? It can also be used for a dip for chips. Yum! 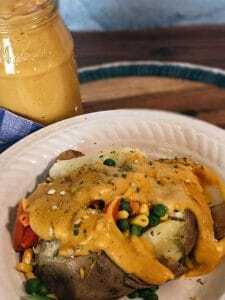 Enjoy the leftover cheese sauce on potatoes or vegetables. Remember, it isn’t really cheese, and so nothing unhealthy here! 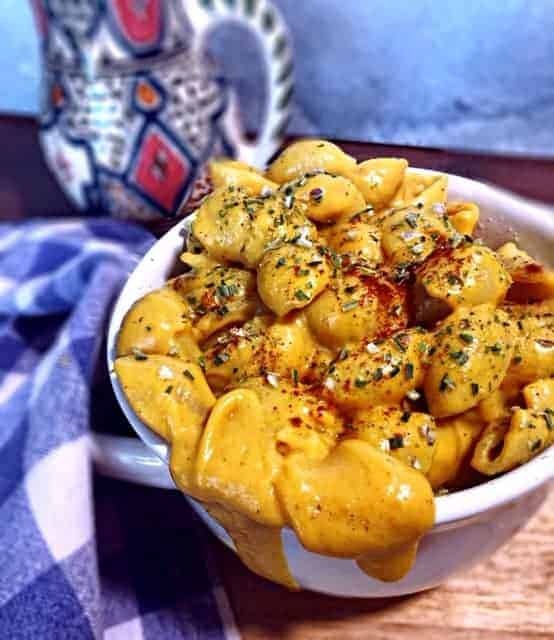 The sauce for this Mac and Cheese is entirely plant-based. 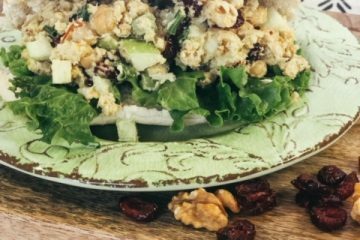 It is oil-free and made with vegetables, raw cashews, and seasoning. Make it using a pressure cooker and high-speed blender. It is creamy, rich and cheesy, and healthy too! Follow package directions to cook 12 ounces of pasta. You can do this while you are making your cheese sauce, or you can do after if you prefer. If you do it before or during, drain and set aside. This is an oil-free dish; but if you cook your pasta ahead of time, you might need to add a little oil to keep it from sticking. Rough cut your vegetables. No need to peel. Add to the pressure cooker. Add raw cashews and water. Close the lid, making sure the vent is closed, and set on manual for 5 minutes on high. Do a quick release when finished cooking. While the vegetables and cashews are cooking, get the seasonings together. I like to add them all to a small bowl so that I can just dump when I'm done. After the vegetables/cashews have cooked and have cooled slightly, transfer to high-speeded blender - along with the water they cooked in. Blend on high speed for 3-5 minutes or until creamy and smooth. Pour on top of and mix into cooked pasta. Season with extra salt and pepper to taste. I also like to add paprika, chives, Maldon Sea Salt, and Parsley on top. Save any left over cheese in an airtight container in the fridge up to a week. Use on vegetables, potatoes, or chips. YUM! 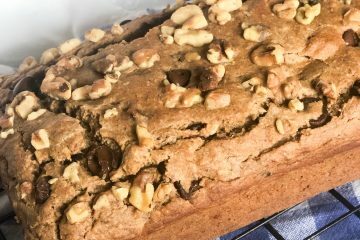 You MUST disclose to anyone you serve this recipe to that it contains nuts. Nuts are not normally found in cheese sauce or mac and cheese and so it is important to disclose.